A1 Colour Plans From £2.50! We’re not just fast, we’ve also got some of the lowest prices you can find. Orders of up to 100 prints only. Please call to discuss lead time of larger orders. 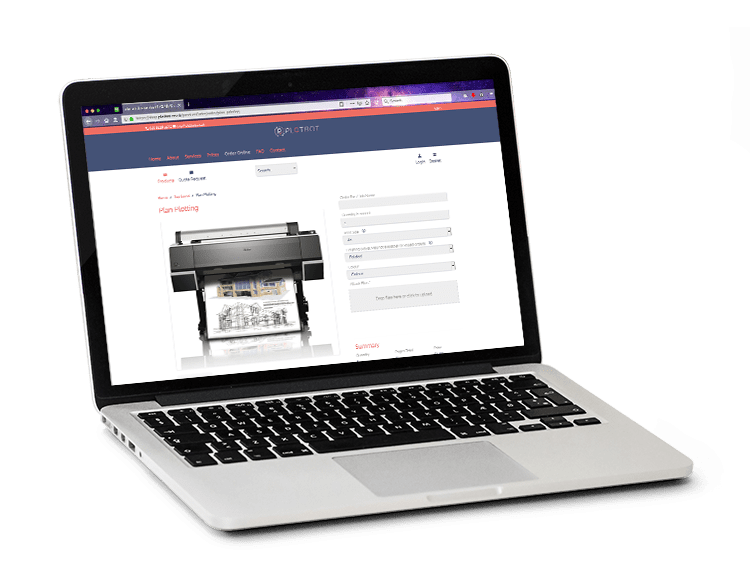 Welcome to PlotBot, the UK’s easiest, fastest & cheapest way to print your CAD plans. 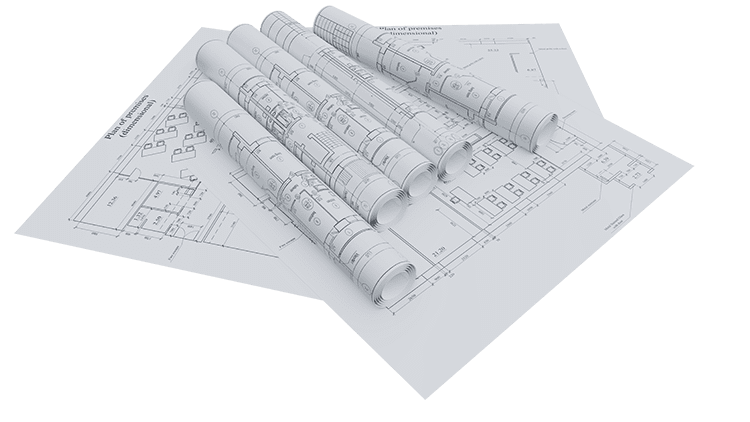 We have over 35 years experience printing plans for amongst others; architects, building companies & electrical engineers. Our online ordering system is easy to use, our turnaround time is quick, we have a huge range of delivery options including same day, and our prices are the lowest around. 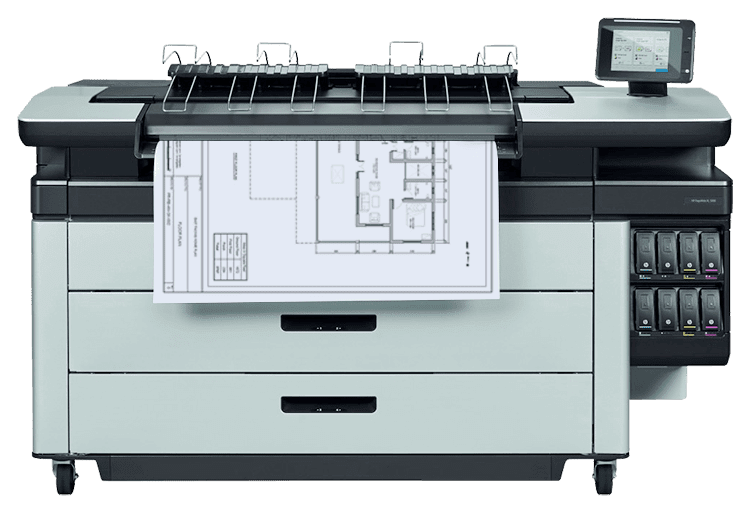 We specialise in high volume plan-printing overflow work, freeing up your plotter & valuable staff time. Our streamlined ordering system makes it east to place you orders. Once you’ve placed your order to can check its progress in your dedicated account area. We can’t quite print it for yesterday yet but while we’re working on that we aim to have all orders under 100 prints ready to despatch (or collect if you’re local) within 3 hours. For larger orders please get in touch, we may well still be able to help depending on our current workflow. Where time is of the essence we offer a priority same day service so your plans are back on your desk in a matter of hours. This service level is currently only available in selected London and Surrey areas, visit our same day service page to see if we offer same day service to your location. If you are outside our catchment area don’t despair we are currently looking for locations for additional PlotBot hubs, if you think your area would benefit from a PlotBot then please get it touch! Our comprehensive range of Next Working Day and Royal Mail services are also available as standard. We don’t like to headline on our prices as we think fast turnaround times and easy ordering are equally (if not more) important. However we also know price is always a consideration, so rest assured that we have some of the lowest prices around, in fact if you can find cheaper Colour Plan Printing with the same specification then we’ll match it.